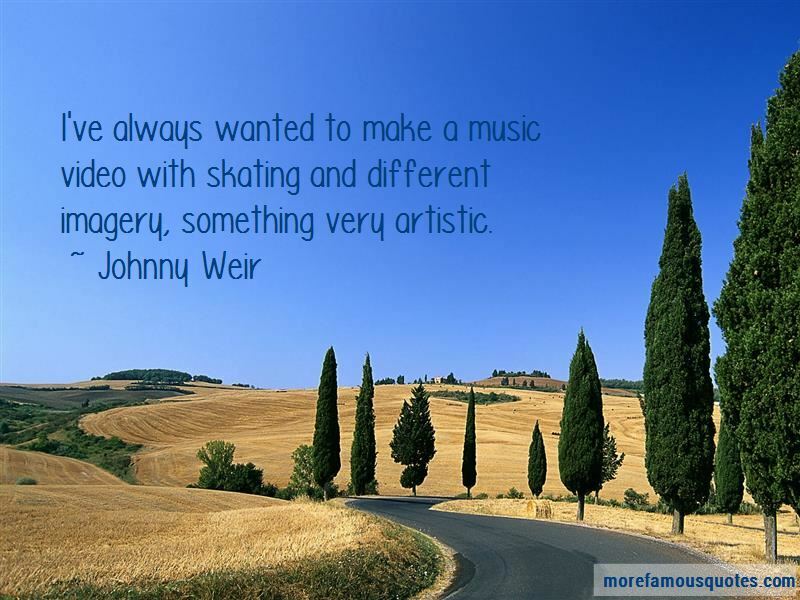 Enjoy the top 103 famous quotes, sayings and quotations by Johnny Weir. So many people in the gay community have always asked me to come out, say it like it is, and help our cause. But for me ... I think my biggest statement I could give to the world is to be strong being myself ... you have to make something of yourself, and that's what makes us strong. I'm going to skate exactly the way I want to, create programs that I like, and everything will fall into place where it is supposed to. I'm not commercial, I'm not for Special K cereal and I'm not a Wheaties boy; I'm a little bit more avant-garde, a little bit more out there. I still have so much passion to perform ... That's who Johnny Weir is: I'm a figure skater, I'm an athlete. I want to have fun and enjoy it. I think being in the public eye can only help me launch into the world of fashion. I never ever wanted to change my sport ... Figure skating was my outlet, it was my breath, it was how I could live and transmit everything I was feeling and everything I had worked for and given up and all these sacrifices I'd made throughout the years. It was how I could make them all worth it. Whether I moved people to throw punches or cry, I did that through my art and what I do. I would never take that experience away to race against a speedometer. Or play on a team. Some people eat, some people drink, some people smoke. I Pledge. 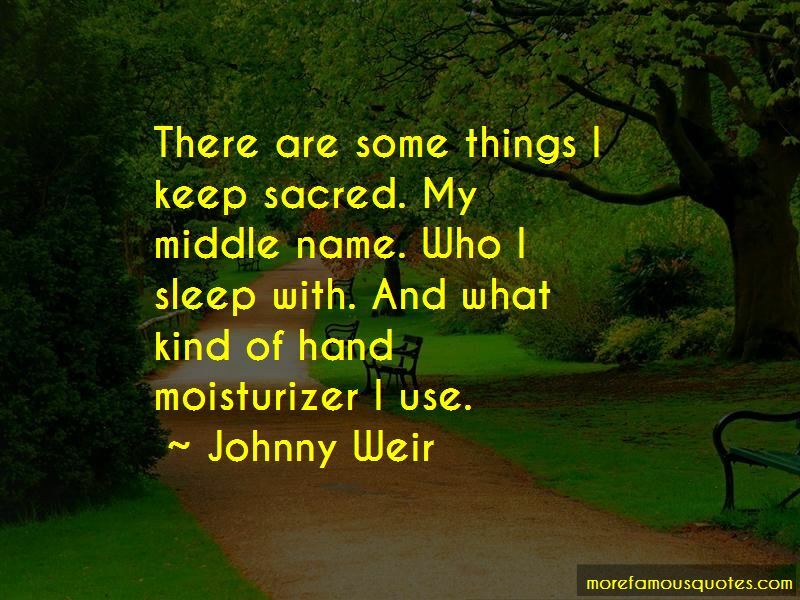 Want to see more pictures of Johnny Weir quotes? 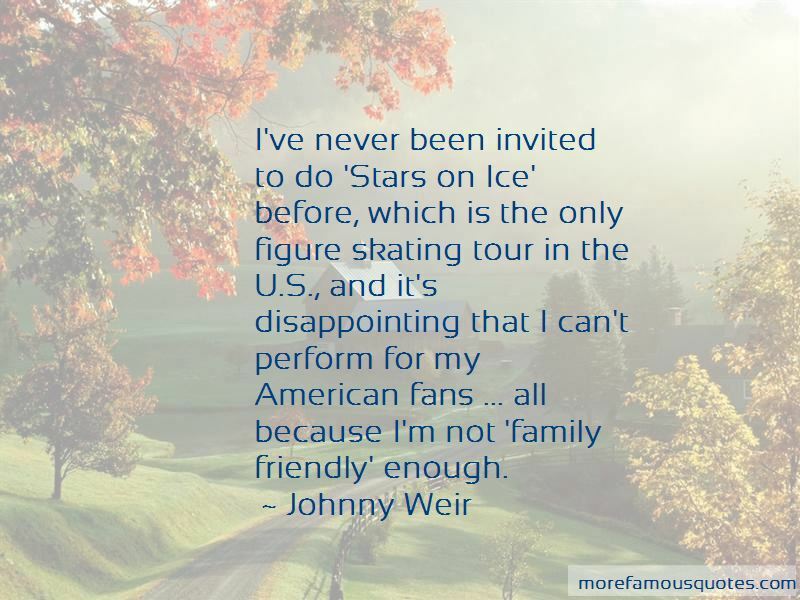 Click on image of Johnny Weir quotes to view full size.